Whether you’ve been to Mexico many times or whether you are preparing for your first visit, your drive should be covered by appropriate Mexico insurance with MexicanInsuranceStore.com. Many wait until they reach the border to buy coverage, stopping at border shacks to pick up policies. However, there can be some serious drawbacks if you opt for a last-minute purchase. 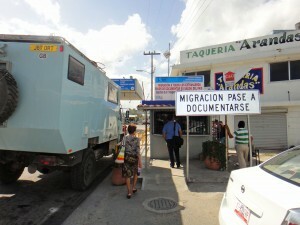 It’s important to research before you reach the border, checking Mexican auto insurance at MexicanInsuranceStore.com. Remember Mexico insurance with MexicanInsuranceStore.com is needed effective October 1, 2013 as it is now law in Mexico that all drivers have coverage. Liability vs. full coverage – take time to be sure that you select the type of coverage that you want. Liability-only coverage won’t address your losses if your car is damaged or totaled in an accident. Limits – indemnity limits vary from state to state in Mexico. Be sure that your policy has sufficient fatality protection based on the states you will visit. Coverage Amount – your in-person purchase is probably not adjustable. Your Mexico insurance with MexicanInsuranceStore.com can be adjusted if you need to increase your indemnity limits..
Renewability – if you stay beyond the term of your border policy, you risk being uninsured. You can obtain Mexican auto insurance at MexicanInsuranceStore.com from a computer or wireless device while you are still in Mexico as you purchase supplemental coverage. Transmittal of information – your border policy purchase will be generated on paper and sent via mail to proper authorities in Mexico, leaving a lapse in time before your coverage details reach national databases. Your Mexico insurance with MexicanInsuranceStore.com is transmitted immediately after your purchase is completed, ensuring that authorities can quickly verify your coverage if you have a problem or are involved in an accident during your visit.